Problems with your sewer line can escalate quickly if you go too long without sewer line repair. Fortunately, it can be fairly easy to notice when your Omaha home is having sewer line issues. Common signs include gurgling noises coming from the toilet, sewage backing up into your toilet or tub, or a bad odor in your basement or yard. Once you’ve noticed there’s a problem, call Major Drain to perform a sewer line inspection and determine if sewer line repair is needed to get your Omaha home’s plumbing back to normal. Pipe Blockage: foreign objects have become lodged in the line and cannot be removed with normal cleaning procedures. Broken, Cracked, or Collapsed Pipe: the pipe has undergone damage from shifting soil, tree roots, or the ground freezing. Corroded Pipe: the pipe has deteriorated and/or broken, whether this was due to the pipe being constructed from substandard materials or the elements finally getting to it. Leaking Joints: the seals between pipes have broken allowing water and sewage to escape into the earth around the pipe which can wash out the dirt around the pipe and causes more shifting of the line. Major Drain provides fast and reliable sewer line repair and sewer line replacement services to the Omaha area. 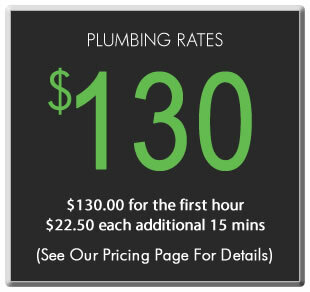 We know how important it is to provide fast and quality service when it comes to sewer line problems. Our professional team of technicians will perform a thorough sewer line inspection before completing the necessary sewer line repairs. Call Major Drain to take care of any of your sewer line issues, and we’ll have you back to your regular schedule before you know it.